Faith in the Valley is part of the LA RED (Liberation, Action, Respect, Equity, Dignity) project with PICO federations across the country because we believe that all immigrants deserve true liberation, action from all levels of government, respect, equity of policies that ensure fair and proportional application, and dignity. 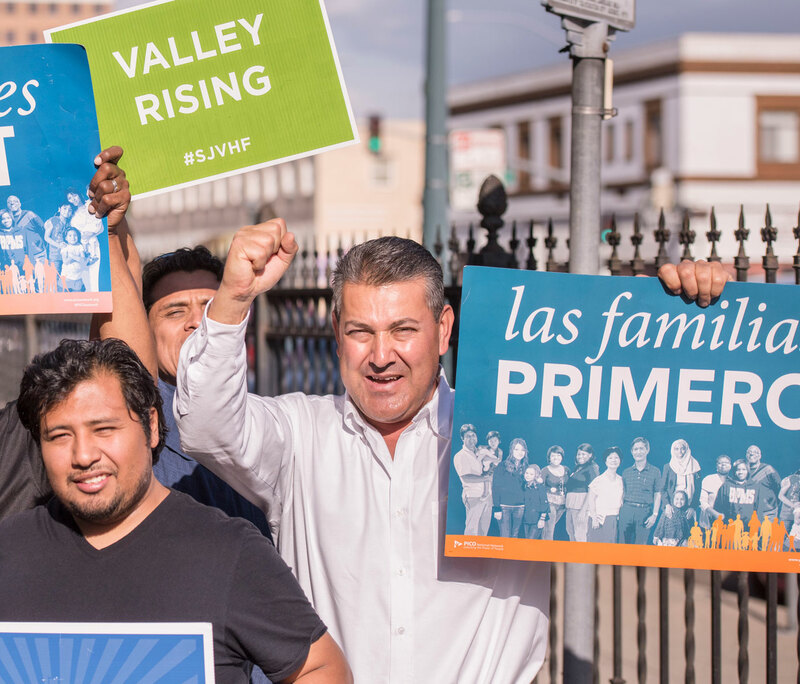 Through LA RED, we are lifting up the need for pro-immigrant policies such as health for all, safe and affordable housing, and good jobs that pay a family-sustaining wage. At the national level, our focus is to end the criminalization of communities of color, including undocumented immigrants, and to stop the detention and deportation machine. We continue to lift up the need for federal immigration reform that provides an accessible path to legal status and citizenship to all undocumented immigrants.